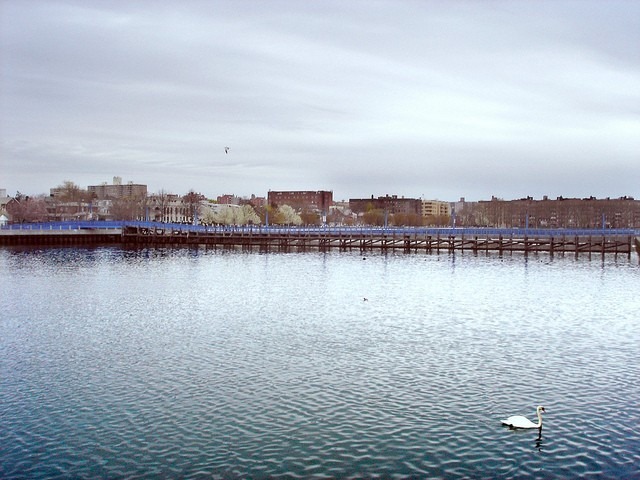 Is Sheepshead Bay Brooklyn's next big neighborhood? Curious which of Brooklyn’s previously unsung neighborhoods will soon be the borough’s next big thing? Those in the know say it may be Sheepshead Bay. Erin Keane of Kings and Queens tells you why the reasonably-priced waterfront region might soon be all the rage in this week’s Buy Curious. I just read that the tallest tower in Sheepshead Bay is being built and is going to bring a lot of new residential space to this area. I'm curious about the neighborhood and wondering, do you think Sheepshead Bay could be Brooklyn’s next-up-and-coming neighborhood? The proposed 331-foot, 30-story glass-and-steel tower at 1501 Voorhies Avenue will bring 232 residential units—both rentals and condos—as well as an additional 15,000 square feet of commercial space to Sheepshead Bay, a middle-class neighborhood in southern Brooklyn whose strange name derives from the sheepshead—a fish whose face and teeth are said to look like those of a sheep, which used to be plentiful in the bay’s waters. But the new building isn’t the only thing that’s changing in the area, which, long known for its Russian/Eastern European community, is now becoming much more diverse. According to Keane, there’s recently been an influx of new residents from Astoria, Queens, as well as other, costlier neighborhoods in Brooklyn, such as Park Slope. “Since [prices] have increased at a faster pace, [people] are now venturing further south to Sheepshead Bay,” she says. In fact, according to StreetEasy, the median price for a one-bedroom condo in Sheepshead Bay is $489,500, while the median price for the same in Astoria is $620,000 and in Park Slope is $699,000. “Typically, people who move to Sheepshead Bay are looking to save money… or because they can no longer afford to live where they were before,” says Keane, referring to higher-priced locales like the aforementioned Astoria and Park Slope. Other recent clients of Keane who settled in Sheepshead Bay have hailed from New Jersey and upstate New York, and made the move to be closer to work, she says. 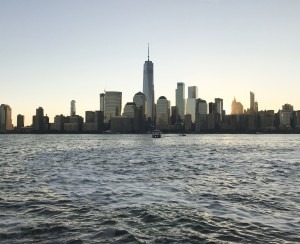 “I have also noticed that clients are moving here for a better quality of life—meaning the area is less crowded than many other similarly priced regions in NYC, and there’s a lovely waterfront space to enjoy—“even if the flipside is a longer commute.” Although lengthier, daily travel to Manhattan is still rather painless from the region, what with two subway lines (the B and Q) and an express bus (the BM3) that run into Manhattan regularly. It takes about an hour to get to midtown by train. The bus ride is a little longer. And “for those who prefer to drive, there is easy access to the Belt Parkway,” she says. “The neighborhood’s shops and restaurants along [main thoroughfares] Emmons Avenue and Sheepshead Bay Road are reflective of its growing diversity,” says Keane. Restaurants span from famous retro fast food joint Roll-N-Roaster to Randazzo’s Clam Bar, an Italian Seafood restaurant, to OPera Café & Lounge, a Turkish eatery, to Chayhana Salom, which serves authentic Uzbek food, to Yiasou Estiatorio, which specializes in Greek seafood. For grocery stores, there’s a large Stop & Shop supermarket in the area, as well as a few health food store options, including Forces of Nature and Omni Health. Besides more affordable living spaces and lots of places to eat, the “appealing and quiet” neighborhood, according to Keane, “offers great quality of living, with access to the waterfront and open spaces,” including Holocaust Memorial Park, at the western end of the bay, which hosts commemorative events throughout the year. Fishing boats galore dock in the bay daily and offer commercial fishing trips, as well as dinner and charter cruises. Locals and visitors can often be found perched on the benches that surround the water watching the vessels go by, or just feeding the ducks. Sheepshead Bay two-bedroom, two-bathroom co-op, $299,900: Located at 3203 Nostrand Avenue, between Avenue R and Avenue S, this remodeled two-bedroom co-op has an eat-in kitchen with granite countertops, a separate dining area, and two large bedrooms with six closets, including one walk-in. The co-op building has new elevators, newly landscaped garden and patio areas, a live-in super, bike storage and a parking garage. Sheepshead Bay three-bedroom, three-bathroom townhouse, $829,000: This brick townhouse at 2566 East 14th Street, between Avenue Y and Avenue Z, has more than 2,000 square feet of living space. There are hardwood floors, a modern kitchen and dining area, a basement with a separate entrance, and a garden with fruit trees. Sheepshead Bay five-bedroom, two-bathroom house, $795,000: This two-unit home at 1757 East 24th Street, between Avenue R and Quentin Road, is an estate sale and is being sold as is. The first-floor of the home has a large living area, an open eat-in kitchen, two large bedrooms, and a bonus room that can be used as a bedroom, a playroom or an office. The bottom floor also offers two-bedrooms and an eat-in kitchen. There’s a two-car garage. 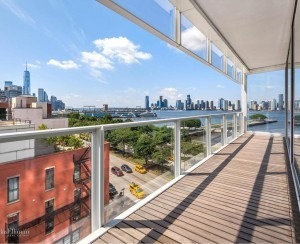 Sheepshead Bay three-bedroom, three-and-a-half-bathroom condo, $1.15 million: The elevator opens directly into this newly constructed three-bedroom condo unit located at 1702 Avenue Z, between East 17th and East 18th Streets. It offers two terraces with planters, a utility closet with a washer and dryer, and a walk-in closet in the master bedroom. 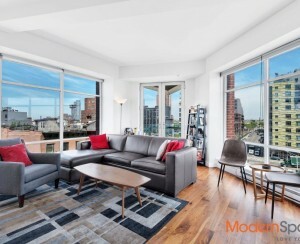 Sheepshead Bay three-bedroom, two-bathroom condo, $699,000: This 1,620-square-foot condo at 2844 Ford Street, between Emmons Avenue and Shore Parkway, has an in-unit laundry, a patio and a carport. The kitchen has granite countertops and stainless steel appliances, including a dishwasher.